Tony Stewart is back behind the wheel today at Atlanta Motor Speedway, and if he can somehow find his way to Victory Lane Sunday night, he will compete for the 2014 Sprint Cup Series championship. NASCAR President Mike Helton confirmed today that the sanctioning body will extend an exemption to Stewart, allowing him to race for the title despite sitting out the last three races following an incident in a Sprint Car race that took the life of driver Kevin Ward, Jr.
NASCAR President Mike Helton explained that decision today, saying, “This has been a very unique set of circumstances to Tony and to our sport. As the league, it's our responsibility to try to make decisions that are correct and right. Stewart: "Something That Will Definitely Affect My Life Forever"
Tony Stewart spoke briefly with the media today at Atlanta Motor Speedway, his first public appearance since the Aug. 9 incident at New York’s Canandaigua Motorsports Park that took the life of driver Kevin Ward, Jr.
Stewart read a prepared statement, just hours after confirming that he will return to competition this weekend after missing the previous three NASCAR Sprint Cup Series races. The three-time Sprint Cup champion called the incident, “one of the toughest tragedies I have ever had to deal with, both professionally and personally. This is something that will definitely affect my life forever. This is a sadness and a pain that I hope no one ever has to experience in their life." Stewart also referenced each of Ward's immediate family members by name, saying, "The pain and the mourning that Kevin Ward's family and friends are experiencing is something that I can't possibly imagine. I want Kevin's father, Kevin Sr., and his mother, Pam, and his sisters Christi, Kayla, Katelyn, to know that every day I'm thinking about them and praying for them." He said his three-week hiatus from competition came out of respect for the Ward family, and allowed him to "cope with the accident in my own way. "It has given me the time to think about life and how easy it is to take it for granted," he said. He declined to field questions from the media, citing the ongoing investigation by the Ontario County Sheriff's Department, but added, "Emotionally, I'm not sure I can answer them anyway." He said he hopes a return to competition this weekend will prove therapeutic, adding, "I miss my team, my teammates (and) I miss being back in the race car. I think being back in the car this week with my racing family will help me get through this difficult time." There will be plenty of questions surrounding Tony Stewart in the coming weeks. In attempting to answer those questions, NASCAR must be sure not to put the cart ahead of the horse. After sitting out the last three weeks of NASCAR Sprint Cup Series competition, Stewart has slipped to 26th in championship points. He is mathematically ineligible to make the 2014 Chase on points, and will need to win one of the remaining two regular-season races at Atlanta Motor Speedway or Richmond International Raceway in order to request an exemption from NASCAR and compete for the title. From NASCAR’s point of view, timing is everything. Until (and unless) Stewart can win one of those final two races, the question of an exemption is wholly and completely moot. The worst thing NASCAR can possibly do at this point is to become embroiled in a senseless debate over allowing the three-time series champion to compete for a fourth title, before he is even eligible to do so. On the topic of a competitive exemption, NASCAR’s response to Stewart should be simple. Winning in the next two weeks will not be easy, even for a once-in-a-lifetime talent like Stewart. The Indiana native had struggled mightily prior to his three-week hiatus, managing just two Top-5 and six Top-10 finishes in 24 starts this season. He has not managed to consistently place himself in a position to win, and asking him to return and prevail immediately – even without the tsunami of distractions that will almost certainly plague his effort in the coming weeks – seems unreasonable in the extreme. If anyone can do it, Tony Stewart can. But even Stewart is unlikely to overcome such insurmountable odds. In truth, championships probably don’t matter to Stewart right now. A healthy grieving process and a positive mental outlook should supersede all thoughts of points, wins and championships. Stewart is a racer, however, with responsibilities to sponsors, teammates, employees and fans. He will race this weekend with those responsibilities in mind, and because his best therapy will almost certainly come behind the wheel of that No. 14 Chevrolet. For now, that’s enough. Let Tony come back and race. And if he somehow manages to rise above the cacophony, ignore the pressure and win, then we’ll discuss the possibility of a waiver. 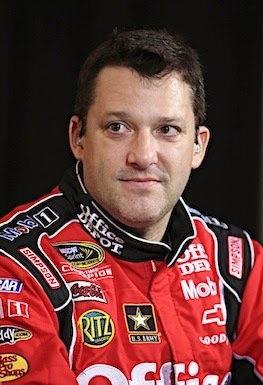 Tony Stewart returns this weekend at Atlanta Motor Speedway. Stewart Haas Racing announced today that the three-time Sprint Cup Series champion has decided to compete for the first time since the Aug. 9 Sprint Car incident that claimed the life of driver Kevin Ward, Jr.
Regan Smith replaced Stewart the following day at Watkins Glen International, with Jeff Burton taking the wheel at both Michigan International Speedway and Bristol Motor Speedway. Stewart is currently winless on the 2014 season and has been mathematically eliminated from qualification for the Chase via points. He would need to win one of the final two races of the regular season, then receive a waiver from NASCAR in order to make the championship field. NASCAR has not commented on whether they would grant such an exemption. 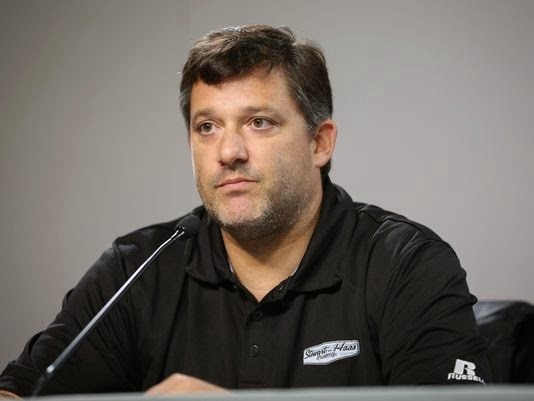 Stewart will meet with the media Friday at 1:00 PM at the Atlanta Motor Speedway. 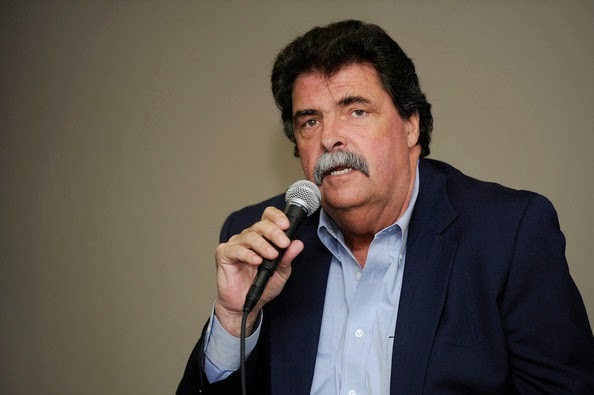 NASCAR President Mike Helton will address the situation at 2 PM ET. I have tried to be compassionate, I really have. I have mustered up every ounce of empathy, pity and solidarity I can possibly muster. But the next person who complains to me about being unable to watch NASCAR racing on “free TV” is going to be buried alive beneath a gigantic, heaping mound of STFU. NASCAR announced its 2015 Sprint Cup Series schedule earlier this week, and a small (but extremely vocal) minority of NASCAR fans lapsed immediately into a fit of indignant apoplexy. They’re upset that 20 of the 36 point-counting races will be broadcast on either Fox Sports 1 or NBC Sports Network next season; networks that are not available as part of most basic cable or satellite television packages. They’re equally unhappy with the NASCAR Nationwide Series – where 25 of 32 races will air on FS1 and NBCSN next season – and the Camping World Truck Series, which will contest 22 its 23 races on FS1. Somehow, these unhappy denizens have come to believe that they're entitled to whatever they want in life, without actually having to pay for it. That’s not the way my Old Man explained it to me half a century ago, but apparently, that’s how it’s supposed to work today. I’d love to drive a Lamborghini, but my meager wages do not allow for such an extravagance. I drive what I can afford to drive while putting two daughters through college, and sometimes eat hamburgers when what I really want is a nice, juicy steak. That’s the way it works out here in the real world, and yet, I continue to hear from the complainers who want what they want, no matter what. “We should be able to watch NASCAR for free, without having to pay an additional cable or satellite charge,” they scream, ignoring the fact that they already can! If the “we won’t pay” brigade had spent as much time researching this issue as they've spent complaining about it, they'd know there is a simple way to enjoy prime-time network and sports programming without paying a monthly cable or satellite bill. Most of the television sets sold today include either a built-in or external over-the-air tuner, allowing you to enjoy local news, out-of-town broadcasts and sports programming without ever paying a monthly cable or satellite bill. This “free programming” isn’t entirely free, though. 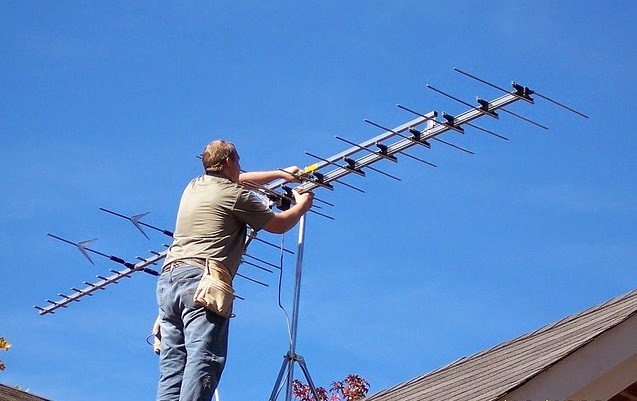 You’ll need to shell out for a rooftop or attic-mounted antenna – just like grandma and grandpa used to own -- which will run you somewhere between $75 and $200. If you’re unwilling to pay even 75 bucks for a full season of NASCAR racing, there’s probably nothing more that can be done for you. You’ll just have to curl up on your couch and read a book. There are also those who insist that NASCAR should force the networks to carry races on so-called `free TV’. Unfortunately, NASCAR does not have the clout to get that particular job done. Networks like ABC, NBC and FOX have no interest in filling the prime time airwaves with sporting events. While they will occasionally televise a NASCAR race, NFL football or Major League Baseball game on Sunday evening, ABC, NBC and FOX reserve the vast majority of their prime time hours for sitcoms, news magazines and reality programming. That’s where the revenue lies, and that’s why most sporting events will continue to be found on networks with the word “sports” in their names, like ESPN, Fox Sports 1 and NBCSN. No amount of foot stomping and smoke-blowing by NASCAR (or its fans) will ever change that. The premise that NASCAR is someone alienating its longtime fan base by broadcasting races on cable television is ludicrous, short-sighted and downright incorrect. 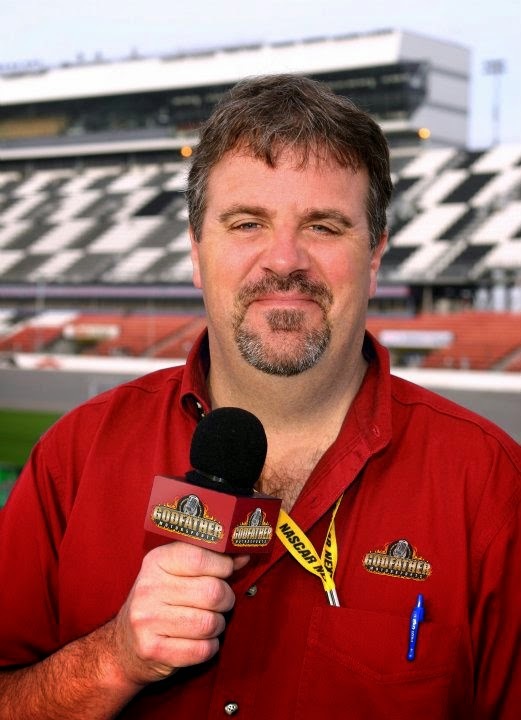 Many of those irate over having to pay for their NASCAR speak glowingly of the “good old days” when Bob Jenkins, Larry Nuber and Benny Parsons called the weekly NASCAR action. They conveniently forget that Bob, Larry and “Buffet Benny” worked for ESPN, the same cable network we’re so angry about paying for today. While CBS aired one or two races each season on “free TV,” NASCAR fans were more likely to see commentators Ken Squier, Mike Joy, Buddy Baker and Neil Bonnett on The Nashville Network. Like ESPN, TNN was a cable network, not readily available over-the-air. The bottom line, as I see it, is this. NASCAR has the longest season in professional sports; beginning at Daytona in mid-February and concluding -- nine exhausting months later -- in mid-November at Homestead Miami Speedway. The sheer weight of that schedule precludes NASCAR from being telecast on any single network. Add in those Nationwide and Truck Series races, and it becomes even more unworkable. Just like attending races in person, watching NASCAR on television requires a certain level of financial commitment. If you want to play, you’re going to have to pay, at least until the Bill Of Rights is amended to include the right of watch Dale, Jr. for free. A major shakeup is apparently underway at Turner Scott Motorsports, which fields entries on NASCAR’s Nationwide and Camping World Truck Series. TSM is co-owned by Steve Turner and Harry Scott, Jr., who also owns the HScott Motorsports NASCAR Sprint Cup Series team that fields cars for rookie Justin Allgaier. Sources speaking on the condition of anonymity say that an ownership dispute between Turner and Scott could result in the team shuttering all or part of its multi-truck NASCAR Camping World Truck Series operation, effective immediately. TSM field Camping World Trucks for former series champion Ron Hornaday, Jr. and rookies Ben Kennedy, Brandon Jones and Ben Rhodes. Just days ago, youngster Cameron Hayley was added to the team’s Truck Series roster for a limited schedule of races, beginning this weekend at Canadian Tire Motorsports Park. Sources say that only Kennedy’s Chevrolet may continue to compete, but that at least some of the team’s transporters have been called back to TSM headquarters in Mooresville, NC. Turner Scott also fields NASCAR Nationwide Series entries for drivers Dylan Kwasniewski and Kyle Larson. The team was founded by Steve Turner for a part-time schedule of Truck Series events in 2009, before expanding to two full-time entries the following season. Turner Motorsports won the Camping World Truck Series championship with Steve Turner’s son-in-law, James Buescher in 2012. Calls placed to Turner Scott Motorsports, Steve Turner, Harry Scott, Jr. and others in search of comment were not immediately returned. GodfatherMotorsports.com will update this story as further details become available. UPDATE: 4:40 PM ET -- In a brief text message, Turner Scott Motorsports co-owner Harry Scott said only that "What's been reported is not true." UPDATE: 5:15 PM ET -- Several employees of TSM have confirmed that they were laid off -- at least temporarily -- at approximately 3 PM ET today. UPDATE: 5:45 PM ET -- While declining to comment on the specifics of the situation, Cameron Hayley says, "We will be racing this weekend... 100%"
UPDATE: 6:10 PM ET -- Harry Scott, Jr., co-owner of Turner Scott Motorsports has issued a written statement confirming that the team has shut down some of its NASCAR Camping World Truck Series teams, including that of former series champion Ron Hornaday, Jr.
“Turner Scott Motorsports remains in operation and will compete in this weekend’s NASCAR events,” said Scott. TSM’s NASCAR Nationwide Series race teams represented by the No. 42 driven by Kyle Larson and the No. 31 driven by Dylan Kwasniewski will complete this weekend as scheduled at Atlanta Motor Speedway. The No. 31 driven by Ben Kennedy and the No. 32 driven by Cameron Hayley in the NASCAR Camping World Truck Series will compete as scheduled at Canadian Tire Motorsport Park this coming Sunday. Hornaday currently ranks fourth in the championship point standings, and declined to comment on the statement, saying he has spoken to no one at TSM and is uncertain of his status. NASCAR has announced the 2015 schedules for the NASCAR Nationwide and Camping World Truck Series. The secondary series schedule – awaiting an announcement on a 2015 title sponsor -- will once again consist of 33 races. There will be nine companion weekends that feature all three national series, as well as 18 combination weekends for the Sprint Cup and Nationwide Series, and seven combination weekends featuring Sprint Cup and Camping World Trucks. There are six “stand-alone” events on next year’s NASCAR Nationwide Series calendar, beginning on May 17 at Iowa Speedway. Included are two road-course races -- Mid-Ohio on Aug. 15 and Road America on Aug. 29 – with the Road America date taking the place of Atlanta Motor Speedway. There are seven NASCAR Camping World Truck Series stand-alone races and two Wednesday appearances; on the dirt at Eldora Speedway on July 22 and at Bristol Motor Speedway on Aug. 19. Iowa will host the trucks three weeks earlier in 2015 -- on June 19 -- with the series running its annual international event on Aug. 30 at Canadian Tire Motorsport Park in Bowmanville, Ontario. The NASCAR Camping World Truck Series increases to 23 events next season with the addition of a new race at Atlanta Motor Speedway on Feb. 28.